Microsoft Dynamics 365 for Sales: A complete solution for your sales team. Microsoft Dynamics 365 for Sales empowers sellers to drive personal engagement by delivering actionable insights with relationship management. The sales module has productivity tools that help automate the sales process, has full sales capability that covers onboarding new sellers and coaching, full account and pipeline management, and has full native integration with Office 365 and LinkedIn Sales Navigator. 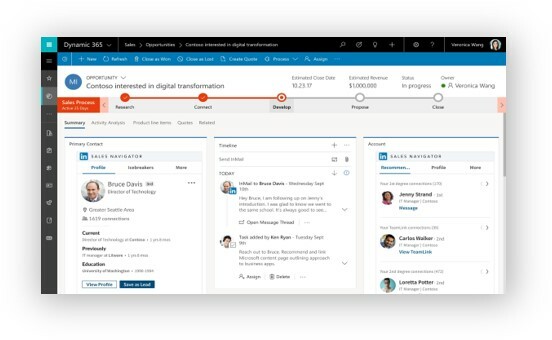 Microsoft Dynamics 365 for Customer Service: Enable your customer service reps to have a 360-degree view of customers through guided intelligent services, and support on any channel with the unique ability to work with existing systems. Deliver more personalized value to your customers and take advantage of AI insights to improve rep efficiency and customer support. Microsoft Dynamics 365 for Field Service: Improve customer satisfaction, with reliable service, through a predictable service, delivery and inventory management solution equipped with flexible service scheduling. Simple quoting and contract management, flexibility in how organizations schedule resources, and a robust mobile application that enables technicians to succeed. Technicians can use the mobile application to change statuses, update work progress, and mark work completed enabling schedulers to view in real time what is happening with technicians and the jobs they are working on. Microsoft Dynamics 365 for Business Central (SMB): Are you a small or medium sized business that is growing but your systems aren’t keeping up? Microsoft Dynamics 365 Business Central may be the answer for you. 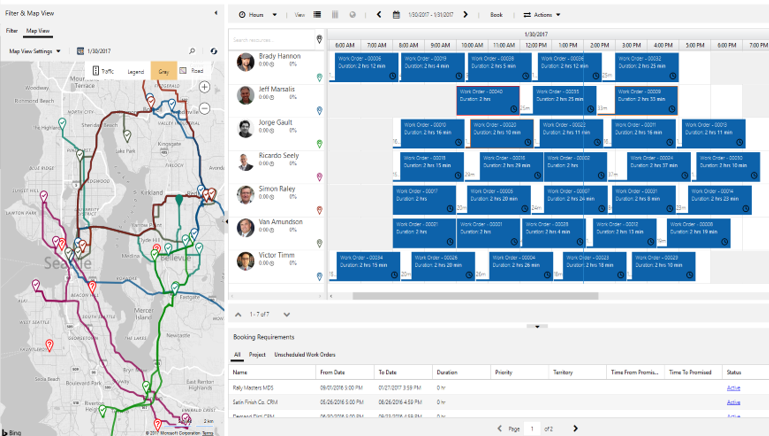 Seamlessly connect people with process, in a single unified solution, enabling quick and easy access to important data while increasing collaboration with your team. Pull all your processes together in one place to manage your sales, service, financials, and operations. Connect with third party applications such as payroll or banking. Microsoft Dynamics 365 for Talent: Take advantage of a powerful talent solution across Microsoft Dynamics, LinkedIn, and Microsoft Office 365 to attract and engage with the right candidates for hire and to retain high-performing individuals. Hire the right candidates faster, set employees up for success with a personalized onboarding process, and improve employee retention with learning, career guides, and collaborative performance reviews. Reduce OPEX with automated HR processes, analytics, compliance and strategic initiatives. Microsoft Dynamics 365 for Marketing: Attract all the best leads, from the right channels, using customizable templates for emails and landing pages, while quickly and easily beginning multi-channel campaigns. Nurture leads by creating personalized experiences, guide your buyer through the process based on how they engage during campaigns, and use business process flows to automate the lead pass off to sales. Align sales and Marketing with common data and a connected business process to ensure each department has a common communication system. 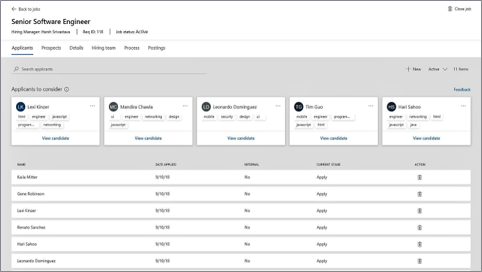 Microsoft Dynamics 365 for Project Service Automation: The project service app helps organizations track, manage, and deliver solutions throughout their entire process from the sale to invoicing. This application enables organizations to effectively plan projects, track costs and revenue, forecast, manage quotes and billing, designate and assign resources, and the app comes equipped with robust interactive dashboards that enable close monitoring of key performance indicators. Power BI: Power BI is a business analytics solution that enables robust data visualization while enabling organizations the capability to seamlessly share insights across their organization. 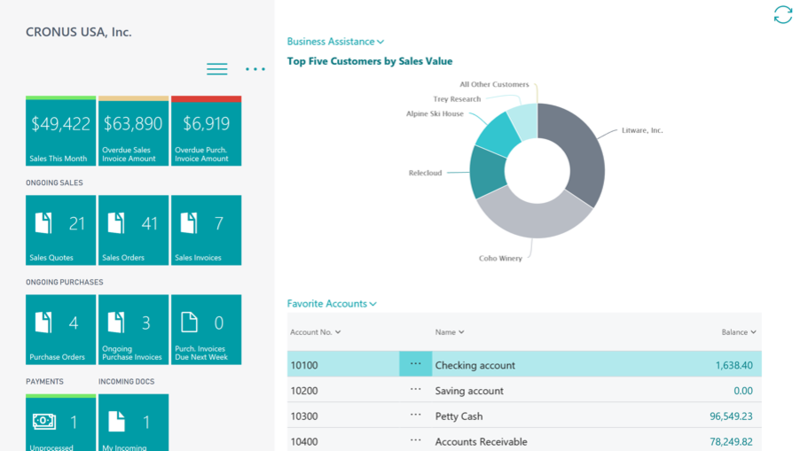 Power BI enables organizations the ability to connect all their data sources into a single location with customizable dashboards and reports. Access Power BI on the go with the Power BI mobile application or seamlessly integrate Power BI with Microsoft Dynamics 365. Power Apps: Whether you’re a developer or a non-technical user, PowerApps enables users to build custom applications from templates without needing coding expertise. PowerApps has a user-friendly interface, functioning similarly to Microsoft PowerPoint, and users can create apps with simple to use drag and drop functionality. Connect your app with Microsoft Dynamics 365, Microsoft SQL, SharePoint, and various other applications both Microsoft and non-Microsoft. Office 365: Office 365 gives you powerful apps and tools that enable easy collaboration inside and outside of your organization. Take advantage of email, chat and online meetings to create simple and efficient collaboration across your organization. When you’re on the go, access all your apps, across all your devices, and stay connected with Outlook, SharePoint, and OneDrive for Business. 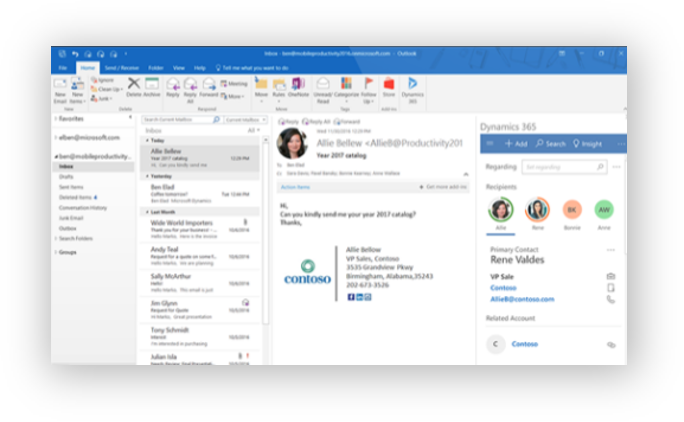 Take advantage of Office 365 Groups to give teammates access to a shared e-mail inbox, calendar, file repository and notebook. Full native integration with Microsoft Dynamics 365 and so much more. Improve employee productivity with automation and enhance communication.